Dr. Boes and his team recently launched a series of interactive orthopaedic rehabilitation videos to help maximize your recovery following injury and/or surgery. Click here to view. 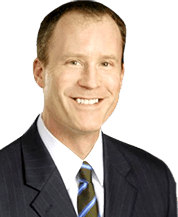 Dr. Boes is a board certified, fellowship trained orthopaedic surgeon specializing in sports medicine and shoulder and knee replacement. Shoulder arthroscopy is a minimally invasive procedure that is done with special instruments through tiny incisions. Arthroscopy is a minimally invasive surgery that is done through tiny incisions and allows the doctor to treat a variety of disorders in the knee joint. The knee joint is made up of three bones – the thigh bone (femur), the shin bone (tibia), and the kneecap (patella). The shoulder is a “ball & socket” joint. The upper part of the arm bone (humerus) forms a ball shape that sits on the side of the shoulder blade. Shoulder joint replacement is a surgical procedure performed to replace the damaged shoulder joint with the artificial joint parts. A total knee replacement (TKR) or total knee arthroplasty is a surgery that resurfaces arthritic knee joint with an artificial metal.